Less than 24 hours after the Government raised the import duty on gold, Finance Minister P. Chidambaram asked banks to discourage customers from buying the yellow metal. 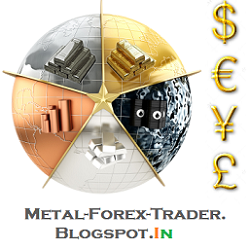 “I think the RBI has advised banks that they should not sell gold coins. The RBI has put in place regulations that gold can only be imported on a consignment basis with increase in margins to 100 per cent. I would urge all the banks to please advise their branches that they should not encourage their customers to invest or buy gold,” said Chidambaram at the 66th Annual General Meeting of the Indian Banks’ Association. India imported 142 tonnes of gold in April and 162 tonnes in May. Last year’s monthly average was 70 tonnes. 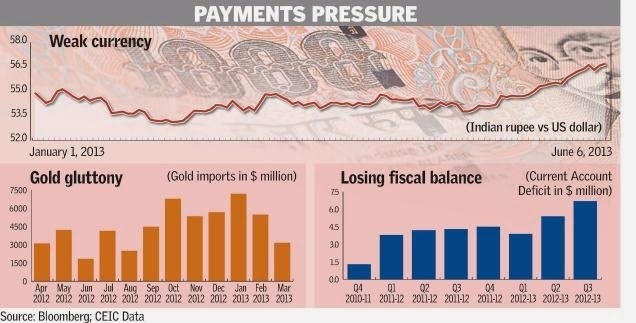 In the first two months of this fiscal, the monthly average of gold import is 152 tonnes. Chidambaram said the current account deficit remains a matter of concern. Gold imports have been the key contributor to the CAD, which touched a record 6.7 per cent of GDP in the October-December quarter. CAD, a key indicator of a country’s external vulnerability, arises when a country's total import of goods, services and transfers is greater than exports. A widening CAD exerts downward pressure on the rupee, making imports costlier. This is a cause for concern for the government as costly crude oil imports have an inflationary impact. In the medium term, the Minister said he expects that the dip in inflation will make fixed income products more attractive as vehicles of savings and divert some of the disproportionate attention on gold to fixed income instruments.